My association with Wellington Hospital extends back some 60 years, over which time I have witnessed many changes. I was first employed at the hospital during summer holiday breaks from studying medicine in Dunedin. The roles were varied – first as a cleaner, then as an X-ray porter and finally as a ‘male orderly’ – ie a nursing assistant. The benefit of these early experiences was to have a fairly good idea of the hospital layout and how things worked, so that by the time I became a resident final year medical student, the institution felt like ‘home’. In those days final year medical students were accommodated on the first floor of what had been the original main entrance block of the hospital – at one time the home of the early medical superintendents. There followed two years as a resident house surgeon (living in quarters located on the second floor of the Front Block), and then three years as a registrar (Pathology, Medicine and Cardiology). By the time these years had passed I had got to know - by sight at least – most of the senior medical staff, and I had resolved that Wellington Hospital was where I wished to work as a cardiologist. I returned from postgraduate training in London and Toronto to that role in 1969. Senior medical staff numbers had already increased by then with the development of a number of specialty services, but there was still a sense of staff cohesion and integration. There continued to be weekly grand rounds, a tradition that extended back to the 1940s. These rounds, which were held on Saturday mornings, continued to attract a significant number of senior staff, GPs and of course junior medical staff. There was a sense that it was expected of SMOs and others to attend these rounds and generally this was willingly done. This state of affairs continued until the creation of the Wellington Clinical School of Medicine. 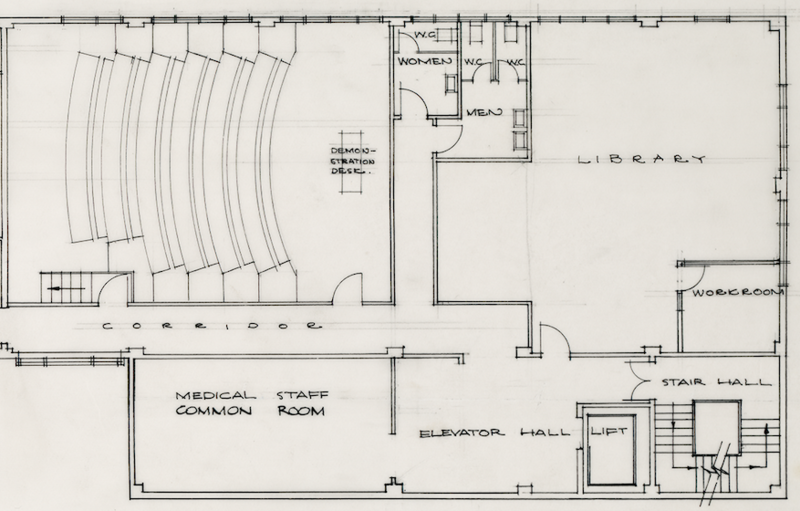 From 1977, grand rounds and other medical meetings were transferred to the much larger facilities in the medical school block. The medical library collection was incorporated into the much larger Medical School Library. By now staff numbers had significantly increased, in part because of the appointment of Clinical School staff but also an increase in hospital senior medical numbers. The hospital had become a much busier place and many staff members became reluctant to give up a Saturday morning for the grand round. Accordingly, the grand rounds were rescheduled to take place during the lunch-hour on Thursdays, with provision of lunch after the round for the senior staff. Nevertheless, the numbers of senior staff attending grand rounds dropped, mainly because of competing commitments and as a result staff cohesion in this environment at least was to some extent lost. Another factor in this was that specialty services developed regular in-service clinical meetings which to some extent competed for the valuable time of senior staff. Additionally, the relative numbers of whole-time hospital SMOs which had peaked during the establishment of specialist services, began to fall as a proportion of total staff numbers, as more and more staff elected to establish private practice in addition to their public hospital roles. By the time I retired from my cardiologist role in 2000, there were vastly more SMOs on staff than when I started. It was no longer possible to know them all and in many cases the paths of the many different specialist would never cross. At the same time numbers of staff within each specialty had increased to form rather separate communities of SMOs. It may well be that others will have a different perspective to that which I have outlined. What is clear to me is that even if there has been some fragmentation of staffing, the quality of each individual staff member remains high and Wellington Hospital can be proud of this group of professionals who contribute greatly to the high standards of care provided by the hospital.